Cocaine is a stimulant drug used by hundreds of thousands of Americans. As a culture, we seem to have a strong affinity for drugs that give us a chemical “pick-me-up.” It’s why so many Americans drink coffee. It’s why the energy drink business is one of the fastest growing areas of commerce in the world. We all seem to want that “edge” that will make us feel awake and alive. Sadly, using cocaine or any other stimulant to achieve this edge is one of the worst ideas you could possibly have. Cocaine is a very powerful drug that is highly addictive. It creates return users very quickly due to its intense rush and the seemingly positive result that many users feel like they are experiencing at first. It doesn’t matter that cocaine quickly turns its back on even its biggest fans. By that point they are hooked and will want to continue using no matter what. In order to ensure that you never fall prey to cocaine, it is good to get educated about the drug and how it is used. For example, cocaine has three main routes to being administered to the human body. Here they are in more detail. 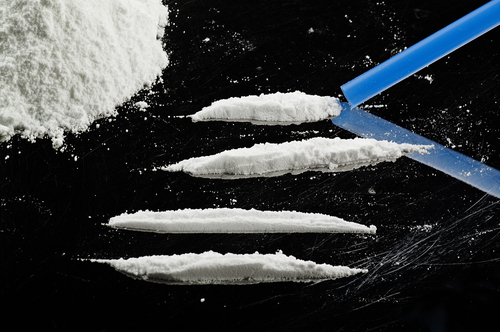 Cocaine is sold to customers in the form of a fine white powder. It is snorted through the nostrils in order to get the drug into the nasal cavity. Within the nose and nasal cavity, it can enter the bloodstream quickly and create an almost instant high. Snorting cocaine usually causes nosebleeds. Cocaine absorbs quickly through the mucous membrane walls of the nose which causes a reaction of nose bleeds after continual use. The instant high feeling from cocaine comes about from the drug quickly reaching the bloodstream. Another common sign of users that snort cocaine is to constantly rub at a runny nose (whether or not the nose is actually running.) It’s a physical tic that many cocaine addicts seemingly cannot control. Cocaine is usually called “crack cocaine” when it is smoked because it makes a distinctive crackling sound when it is heated. The type of cocaine which is smoked comes in a crystalline rock form as opposed to the fine powder used for snorting. This type of cocaine has been the most popular form among poorer Americans in urban areas for many years. The prevalence of this drug in inner cities has led to the rise of the term “crack addict” in order to refer to a drug user in an urban area. Injecting cocaine is another route to delivering the drug. One of the major risks with this route is that dirty needles and improper sterilization of the injection area can lead to transmitting diseases like HIV and hepatitis. Drug addicts who like to inject drugs get these diseases by sharing needles which increases the risks even further for contracting other diseases. Cocaine is a powerfully addictive drug, so it can be very hard to drop it on your own. Most users will not be able to go cold turkey when they want to stop using cocaine. Instead, they need an effective residential rehab that can help them get through the powerful withdrawal symptoms that accompany the cessation of cocaine use. If you have fallen under the dark spell of cocaine, seek out help from Narconon Arrowhead today. Professional addiction counselors are on hand to help you take back control of your life today.